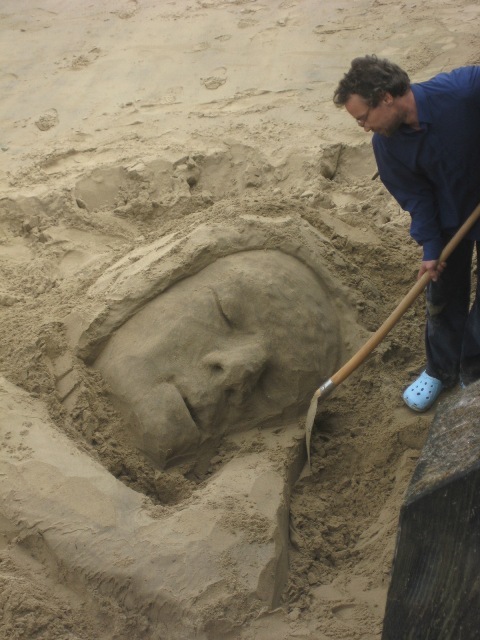 Wissy's blogspot: The sleeping sand maiden. We were walking along the South Bank in London the other week and came across by chance this sand artist sculpting a sleeping woman in the sand on the banks of the Thames. 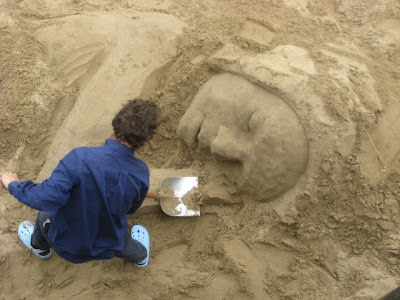 I thought it was very clever and beautiful. 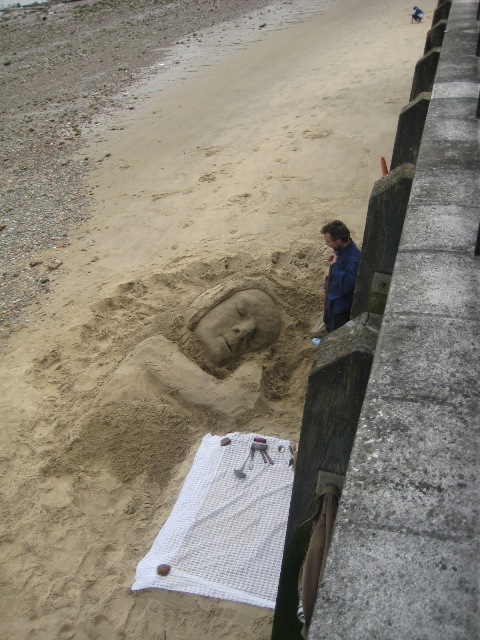 When we returned a couple of hours later the artist's efforts had been washed away with the next tide. Such a shame.